In past blog posts, I have briefly touched on iron supplementation. This practice is common among endurance athletes, especially triathletes, cyclists, and long distance runners. It is done because of the high risk of anemia and pre-anemia due to increased red blood cell turnover secondary to training. However, iron supplementation should be done with caution and under the watch of a professional. My general rule of thumb is to avoid iron supplementation until you see an indication for supplementing. Indications include a reduction in hemoglobin, hematocrit, and red blood cell numbers, along with an increase in size of red blood cells compared to your base numbers and beyond what is normal secondary to training. I am a strong advocate for regular blood work monitoring in athletes training more than 10-12 hours per week, especially if there is intensity added to some of those workouts. There is research that shows high iron levels of iron can cause gastrointestinal problems, fatigue, appears to increase the risk of cancer, and it does interfere with zinc absorption, a very important micronutrient to endurance athletes. Therefore, iron should not be blindly supplemented. When iron is indicated, it is crucial to performance, when it is not it can be very detrimental to your health, and decrease performance. Blood work monitoring should be performed by a doctor familiar with working with endurance athletes. Is there blood loss occurring in the body (gastrointestinal bleeding, heavy menses, infection, etc)? Is this definitely iron deficiency and not folic acid/folate or a B12 deficiency? If iron supplementation is the answer, it is time to start iron. 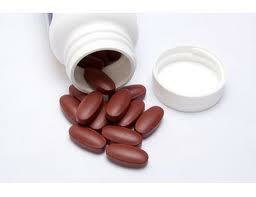 However, iron supplementation is not as easy as simply taking a pill for some. Some people have trouble absorbing iron when it is supplemented by itself. In fact, in the last month I have been contacted by three professional endurance athletes that cannot seem to shake their anemia/pre-anemia, which is hugely affecting their performance. After reviewing tests and further testing in all of them, it became apparent that they had trouble absorbing iron in the pill form. An iron supplement should be paired with a significant source of organic vitamin C (non-synthetic). Organic vitamin C greatly enhances iron absorption. The key is that it must be “organic”. Synthetic vitamin C, such as that found in supplements does not have nearly the iron absorption enhancement effect as organic. Iron should not be taken with dairy products, or within 1 1/2 to 2 hours of drinking coffee or soda (this includes diet soda). While supplementing iron, you should also supplement zinc, as iron supplementation decreases zinc absorption rates. There are several different forms of iron out there. My top pick among the different forms is iron carbonyl, as it appears to be the best absorbed form of iron because of slower absorption rates, which have also shown to decrease the side effect of gastrointestinal discomfort and decrease potential toxicity. A company I am particularly fond of is Douglas Laboratories (no I am not a paid spokesman). They make a great iron supplement in the form of time released iron carbonyl. The benefits of having it time released are typically less gastrointestinal side effects, which are very common when supplementing iron (gas, loose stools, or constipation). You can find this supplement here: http://www.douglaslabs.com/product.cfm?litm=7962-90X. To order you must use a physician referral code. You can use the following: 2142213. Just remember, test first! If you are interested in testing and don’t have a relationship with a doctor, I am available for blood work monitoring to athletes both locally and distantly. Simply contact me at garretrock1@gmail.com to inquire. This is performed through the 51 Speedshop Performance Advising (www.fiftyonespeedshop.com). Previous Previous post: Folate For Athletes: Don’t Ignore This Micronutrient! Are you an athlete looking to optimize your training and compete at your highest level consistently?